He's really good, no question, but he does not encourage me to jump. 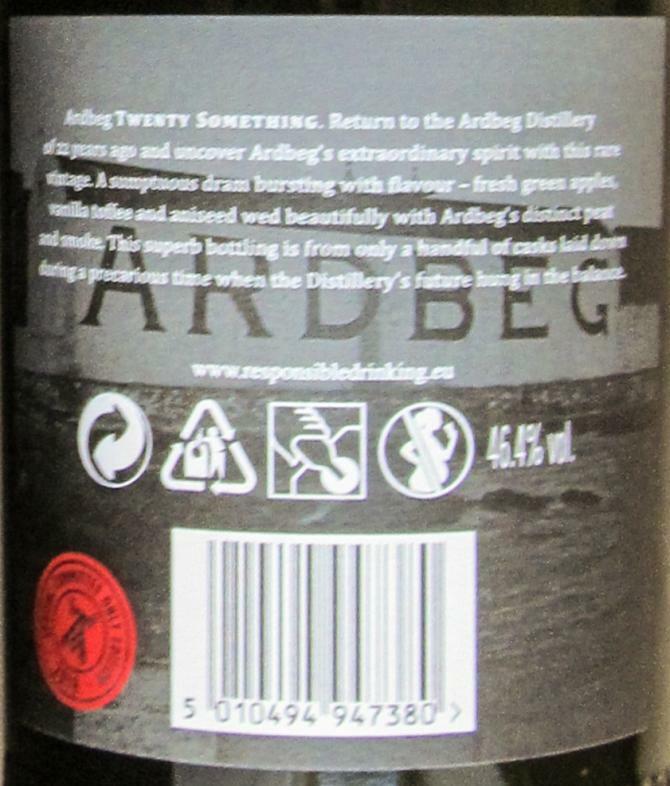 The profile is pretty typical Ardbeg, all very round and well balanced. The long stand to elicit the bouquet but still any secrets, has not paid off, there were none. Instead, the life has led to a slight loss of alcohol, and of that he does not have so much. The second glass, warmed up and with only a short shriek, I liked much better because it was much more powerful. The price-performance ratio is however rather scary. A bit green with a lot of peat in the first breath, caramel follows, the smoke quickly becomes phenolic, campfire in the cowshed. He calms down very fast. Over time, notes of licorice or anise as well as Zitronenzeste develop. Partly almost dusty with lots of herbs, but always sweet in the background. Heat completes him immensely, he now looks much sweeter, smoked Snickers. Add an idea moist rock and freshly tanned leather. In the second dram, I actually find a hint of mango. Very mild onset, initially rather watery, but then becomes increasingly oily. Sweet forward, full milk chocolate, back to white pepper develops and some herbs come up. Overall, but very tanninarm. The second glass, this time a bit warmer and without life, is already slightly oily at the beginning. The entrance also looks a bit stronger now. Slowly and warmly, he goes into the long finish, it is initially very sweet and then dries off easily. He looks pretty cool. The slightly sweet ash is still a middle eternity on the tongue. Nose has lime, subtle smoke, pears, and oak. Palate is soft and herbal, with rich honey and herbal notes. 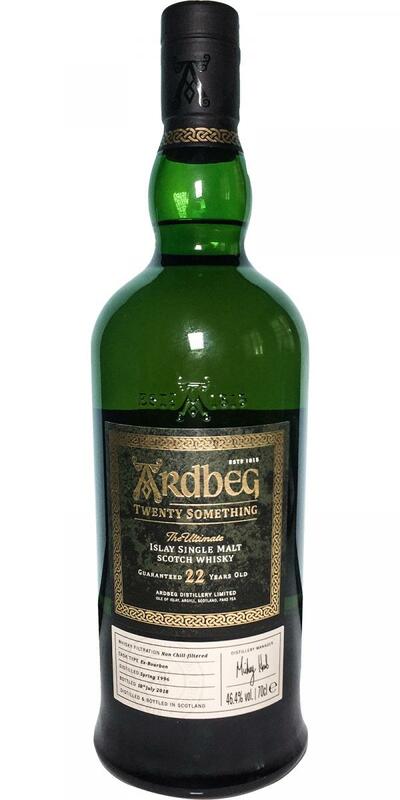 Great dram - very soft and elegant for an Ardbeg. Magnificent nose, mouth and finish. After adding a few drops of water the experience became even greater. One of the best whisky I've ever tried! 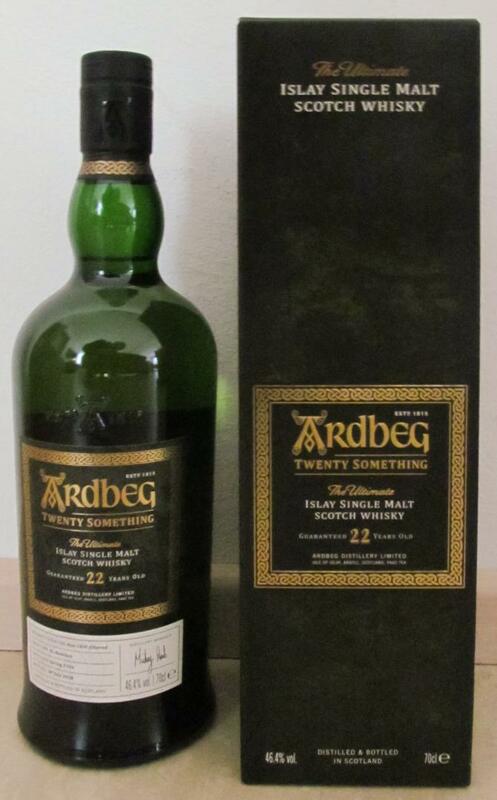 Smoke but not as much as you normally scent in an Ardbeg. Vanilla of course, It's been a while in the cask but you can scent a tone of sweet vanilla. You can scent leather, some dried herbs and even chocolate. Soft smoke and ash together with hints of leather, vanilla and even som dried fruits, (I got the taste of plum in my mouth). . When swallowed the smoke builds up but never gets intense. Some grapefruite or lemon-peel (felt it on the sides of my toungue wich indicates some bitterness but at the same time I felt som acidity). Really long and full finish of initially smoke-tones but after a little while turns more towards chocolate and citrus. Once again i taste the bitterness of, what I believe is, grapefruit.